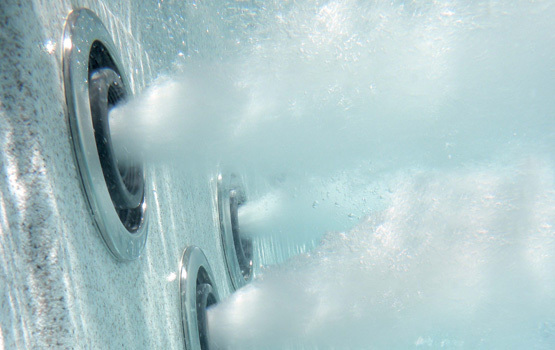 We offer a wide range of hot tubs and swim spas. Visit our showroom to view popular hot tub models from our extensive range. Whether you’re looking to socialise, relax, or simply want wellness, we offer the perfect hot tub or swim spa for your needs. Visit our showroom in Kent to get a feel for the quality of our American-made hot tubs, with excellent features and warranties. Swimming is the ultimate zero-impact exercise to tone your body. Our swim spas are ideal for fitness, hydrotherapy, and relaxation. Visit our showroom in Kent and be amazed at the quality of our hot tubs and swim spas. 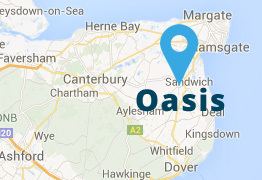 If you’re looking for luxury in your own back garden, look no further than Vita Spa hot tubs from Oasis Swimming Pools Kent. Our hot tubs boast fantastic quality, outstanding features and affordable prices, and with a range of 20 to choose from, there really is a hot tub to suit everyone. From two seater hot tubs for couples to relax and unwind after a hard day’s work, to huge 8 seater hot tubs where you can get the whole family socialising together. 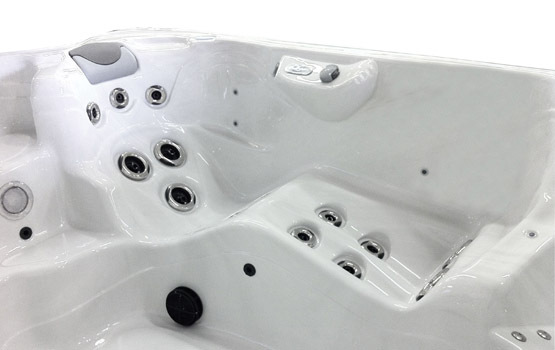 The warm and inviting bubbles and therapeutic jets will make your new hot tub an Oasis in your own back garden. Plus, if you wish to spread out the payments, all our swim spas and hot tubs are available to purchase on finance! Want to holiday at home? Why wait... come and visit our Kent hot tub showroom today and we’ll turn your dream into a reality. Our range of hot tubs are American-made, and leaders in the industry. It's easy to see why. The quality speaks for itself, but why not try out the soothing waters and luxury jets in our Vita Spa Hot Tubs? We have a changing area in our showroom, so bring your swimsuit and hop into our demo tub - you won’t want to get out! Have you dreamed about having a hot tub but dismissed it due to price? They're more affordable than you think! Our hot tubs are built to last and offer many long years of comfort. Invest in yourself. Can't decide whether you need a swimming pool or a hot tub or have limited space? Our swim spas combine larger size for exercise, wellness, and fun, as well as the added benefits of hot tub features like jets and molded seats. First established in the USA in 1974, Vita Spas have been producing high quality, innovative hot tubs and swim spas for distribution throughout the globe and they were first sold here in the UK over 20 years ago. Vita Spas offer appliance-grade, weatherproof steel frames on their 500 and 700 series with a lifetime structural warranty, as well as a revolutionary thermal insulated panels instead of a hard-foam core, for efficiency and durability. Looking for Hot Tub & Spa Supplies? Our sister site stocks all the cleaning products, accessories, and maintenance items you need.